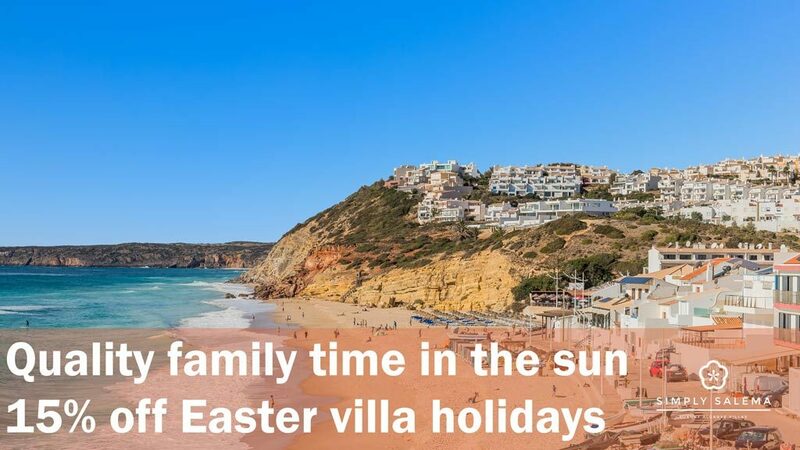 Escape to the sunny Algarve during the Easter holidays! We’re offering a special 15% discount off all remaining Easter holiday dates at our luxury beach & ocean villas in Salema. Minimum stay 5 nights. Flexible arrival & departure dates on request. Applies to holidays at Casa das Estevas, Casa Kissa and Casa da Lana.